Sometimes, when you’re testing your access to a website for example, it can be useful to change the IP address you appear to be coming from. Ordinarily, when you go to a website, the website sees your IP address as that of the public IP address of your office or home. That’s 1.2.3.4 in the below example. Perhaps you allow your office IP to access your site but want to make sure all other IP addresses are blocked. 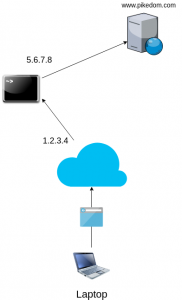 In such a case, you can SSH to a remote server and proxy your HTTP traffic through it. 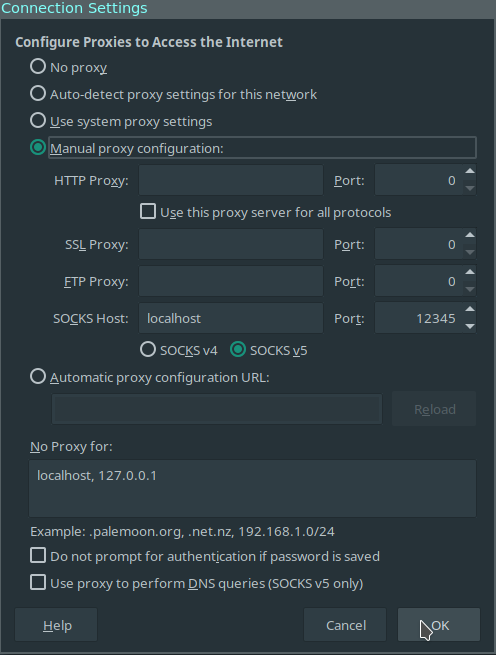 To achieve this, first SSH to a remote server using the -D option to setup a local SOCKS proxy. 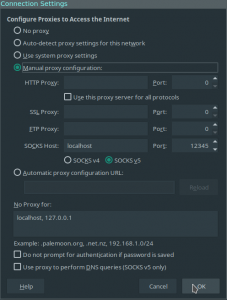 Now when you access your site, the traffic should appear to be coming from the IP address of your SSH server and not the IP address of your office or home.